In the global market, gold has mostly been viewed from a monetary policy perspective as its value is generally in inverse proportion to the interest rate trend, offering higher alternative values when other investments are relatively bearish. But gold and other precious metals are increasingly operating like industrial commodities, due to their diversifying product relevance, according to an executive official of a German-based global technology group specializing in precious metals management. 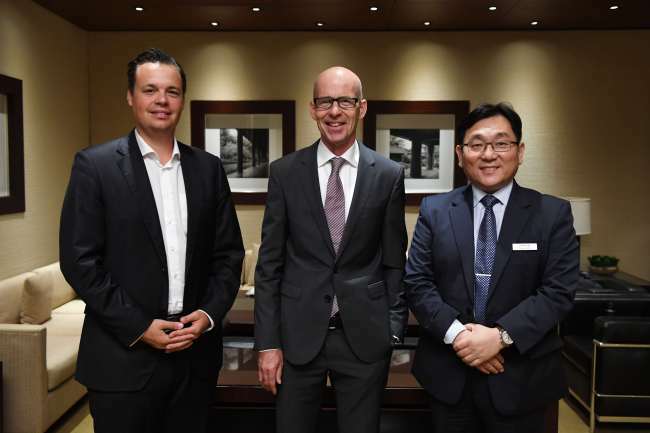 “We define our business as a crucial interface between the industrial and the financial worlds,” Hans-Gunter Ritter, executive vice president and global head of trading at Heraeus Metals Germany, told the Korea Herald. Heraeus, an international family-owned company based in Germany’s Hanau, has a unique position in the world’s precious metals market, achieving 26 billion euros ($25 billion) in precious metal sales in 2016. Since starting its Korean business in 2010, it has been providing key metal resources to major conglomerates here, including Samsung Electronics, LG Electronics, Posco and Lotte BP Chemicals. Last Wednesday, the company held the Hereaus Metals Forum at Grand Hyatt Seoul, the first of such event to be held here, inviting experts and clients to analyze domestic economic trends and share views on the previous metals industry. The company’s precious metals management business is built on a two-way structure, internally providing necessary metal material to its in-house manufacturing sector and also using the same infrastructure to access refined resources for external customers. Of the various types of traded precious metals, gold, platinum and silver account for the majority, while the detailed categories of production, distribution and consumption vary depending on the location, according to Ritter. For instance, China and Hong Kong are marked for their large-scale refining facilities for gold, serving as a metal supply hub in the Asian market. Switzerland is also home to a major gold refinery, and has a safe environment and central geographic location in Europe. In countries where the medical and renewable energy sectors thrive, platinum and silver tend to account for a large part of the trade. “South Korea, with its strong electronics business and fast-growing energy sector, makes a significant market model for Hereaus,” the head official said. Ritter especially pointed out that Seoul’s automotive industry stands as the world’s seventh-biggest consumer of platinum, accounting a considerable part of Hereaus‘ sales of the material. 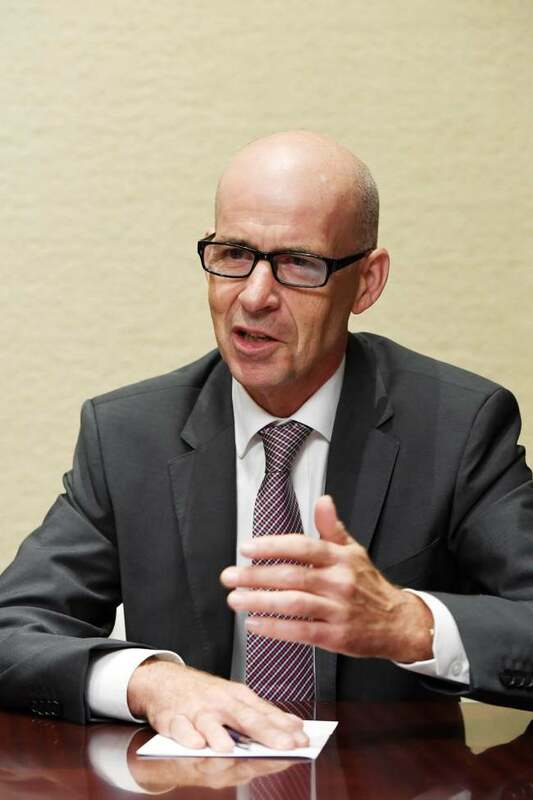 “In addition to the conventional auto business, the Korean market is also highly ambitious in the development of fuel cells, a sector in which platinum plays a crucial part,” Michael Schattenmann, global head of storytelling and marketing, added. Considering such expanding industrial uses of gold and other precious metals, the supply -- whether from mining or recycling -- is likely to remain more or less constant, while the price will maintain an uptrend in the long term, regardless of individual monetary and political changes, according to the officials. “Our business as supplier is inevitably related to market situation of our key industrial customers, so we make sure to keep a close watch on business environments at all times,” Ritter said. The company, however, is optimistic over the possible impact of key global agendas including the ongoing trade conflict between Washington and Beijing. “We are highly diversified not only in the number and range of products, but also in terms of business location,” said Shattenmann. Foreseeing further business expansion in China and neighboring counries, the German company is set to open a new precious metals recycling and manufacturing plant in China this week, investing some $120 million and thus marking one of its largest investments in recent years, Ritter added.